Home LIFESTYLE Home & Garden How To Choose A Perfect Pillow For Good Sleep? How To Choose A Perfect Pillow For Good Sleep? A wrong pillow can spoil your sleep and only cause pain in your neck. 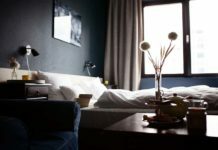 Most people are now aware of the importance of having a good mattress for good quality sleep, but not many are aware of the significance of pillows. A perfect pillow is equally critical as your mattress. Sleeping on a pillow which is worn out, deflated or crumbled does not give your neck the support and comfort which is needed for quality sleep. You wake up with pain in your arm, neck or worse headaches. Why is a Pillow Important? A pillow helps in maintaining a good sleep posture which is essential to wake up without any aches or pains. It might be a memory foam pillow or any pillow, but it should give sufficient support to neck and shoulders. It is essential that your spine alignment does not get disturbed sleeping as it can lead to discomfort in all other parts of the body like the back, shoulders, and neck as well as affect your sleep. Like the mattress, your pillow should also be comfortable and match your bed. Listed below are factors that you should consider while selecting a pillow. There are many filling options available, and each of it has its set of pros and cons. Down pillows: Soft and lightweight, they are made of fibers from goose or ducks. They have a combination of down, other filling materials, and feathers and softness depend on the variation. Wool: These are hypoallergenic and can be resistant to dust mites and other allergens. It also helps to regulate the body temperature by taking away the sweat from the head and neck. They are long-lasting and in summer keeps you cool and warm in winter. These pillows are firm and may not be great bed pillows for neck pain. There are some pillows like the alpaca wool that is not very firm. Cotton: Is also hypo-allergic and can resist dust and mold. They are firm and flat, and people with allergies find it the most suitable. Latex: They are firm but comfortable, and they also hold shape. These do not change into the position you want but delivers excellent support to the head and neck. Memory foam pillow: Changes according to individual shape, responds to weight and body heat. The foam softens and changes to the form of your head and neck. You can Buy Pillows Online at Best Prices in India as it is a popular choice for people who feel discomfort during sleep and is the best bed pillows for neck pain. The thickness of the pillow should be such that it enables your head, neck, and shoulders are aligned to your spine and provides enough comfort. Size: A standard size is quite large which suits even a Queen Pillow Top Mattress. But if you want a large one, make sure that it still maintains the neck alignment so that the sleep posture is not disturbed. That is also a determining factor in choosing a pillow. Back and stomach sleepers will want a flat pillow so that the neck alignment is proper. Side sleepers will want a pillow with loft as it can fill the gap of head and neck. A snorer should buy a pillow which prevents the compression of the airway. A mattress also affects the pillow choice you make. If you are sleeping on a firm bed, then a soft pillow is recommended. A pillow on a firm mattress has to adapt to the weight of your head while you are sleeping. On the other hand, if you have a soft bed, a firm pillow is better to keep the alignment proper. Take into account your individual needs when you are picking a pillow. You can find the best pillow India tailor-made with the filling that is specific to your needs and situations. Next articleTips For How To Prepare The Mattress While Shifting? 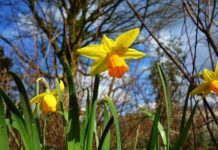 How to prepare your garden for spring? Now is the Time to Pressure Clean!